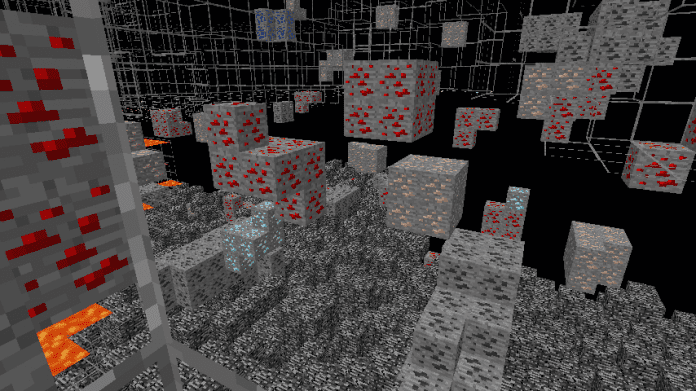 XRay Texture Pack for Minecraft 1.12.2, 1.12, 1.11.2, 1.11 to find diamonds way easier. - Do you know the Minecraft 1.12/1.12.2 compatible Resource Pack called Equanimity? It's one of the most popular Minecraft Resource Packs nowadays. One of Filmjolk's (he also made Equanimity RP) latest creations is the XRay Ultimate Texture Pack we'll present you today. The 1.12.2/1.12 Resource Pack is also compatible with most previous versions of the game and most 1.9+ modpacks/mods. You can use this X-Ray Resource Pack with Optifine HD. However this X-Ray Resource Pack is meant to be used for Singleplayer mode only. How to install Xray Texture Pack 1.12.2/1.12? 5. Drag and drop the Xray Ultimate (.zip file) into the folder that just opened. how are you supposed to see ores?